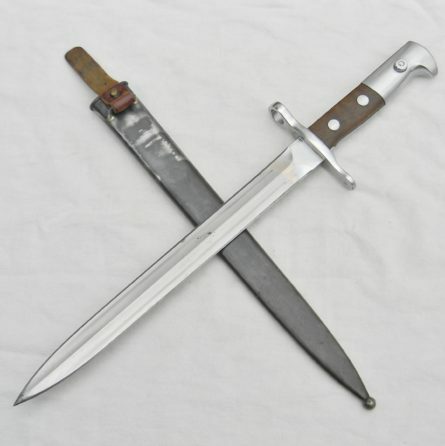 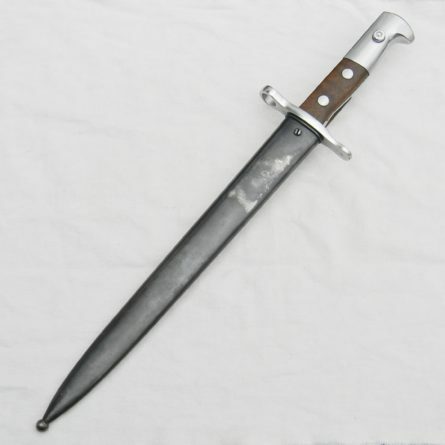 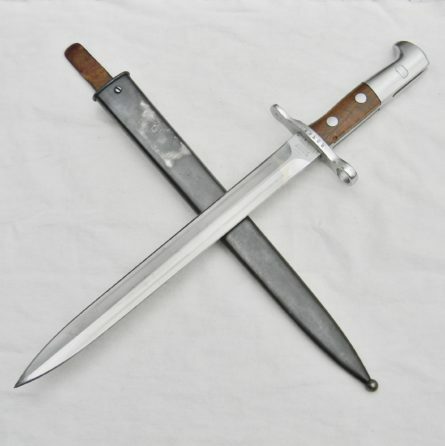 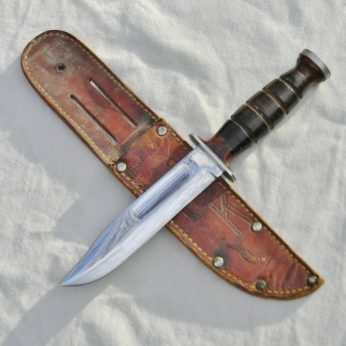 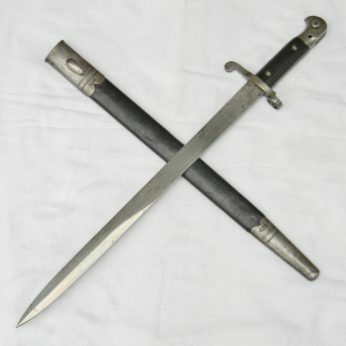 WW1-WW2 era Swiss Elsener Schwyz Vitoria M1918 bayonet, dual-edge 11.75″ blade, original metal scabbard included. Excellent overall condition. 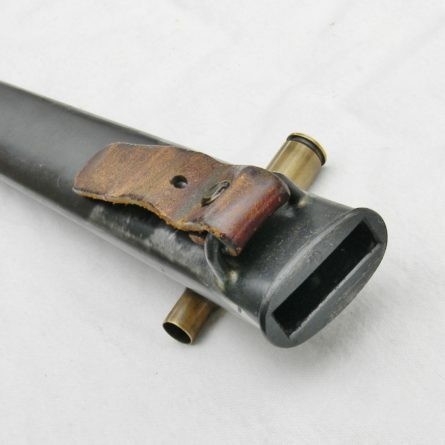 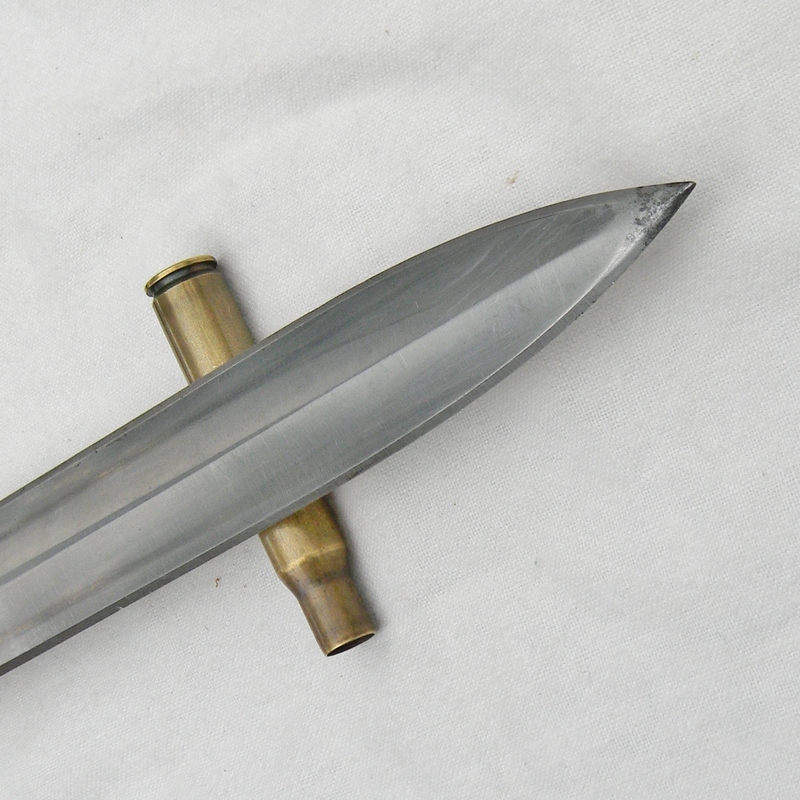 An excellent qualitySwiss-made model M1918 bayonet for the Rubin-Schmidt and K-31 series rifles. 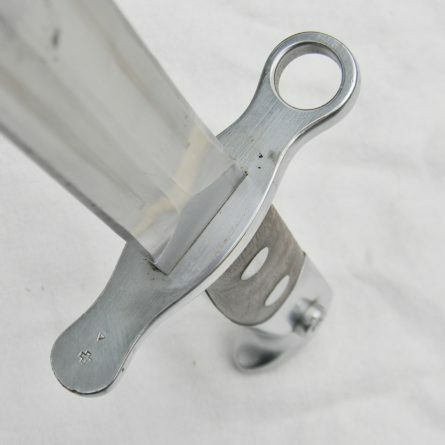 Original unaltered condition; comes with original metal scabbard in near-perfect condition. Manufactured by Elsener Schwyz Vitoria in Switzerland; serial number 225620 is stamped on the guard. The bayonet measures about 16-7/8” / 43 cm overall; bright-white finish blade is about 11-3/4” / 30 cm long. 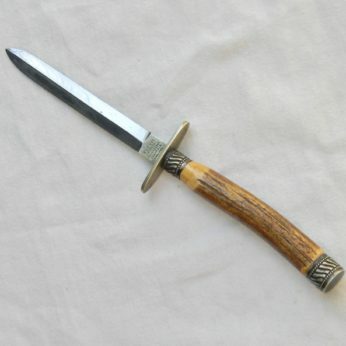 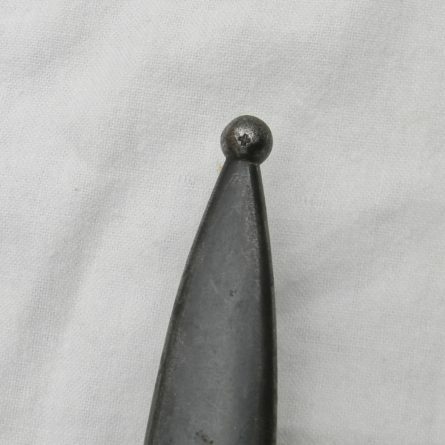 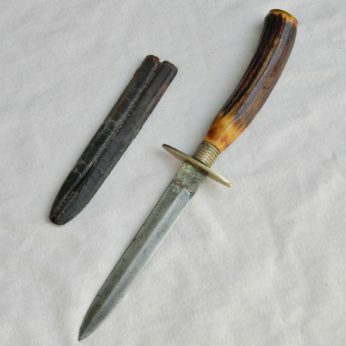 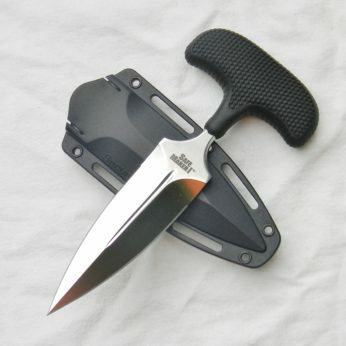 Dual-edge “dagger point” blade appears to have an original factory edge; the tip is intact. 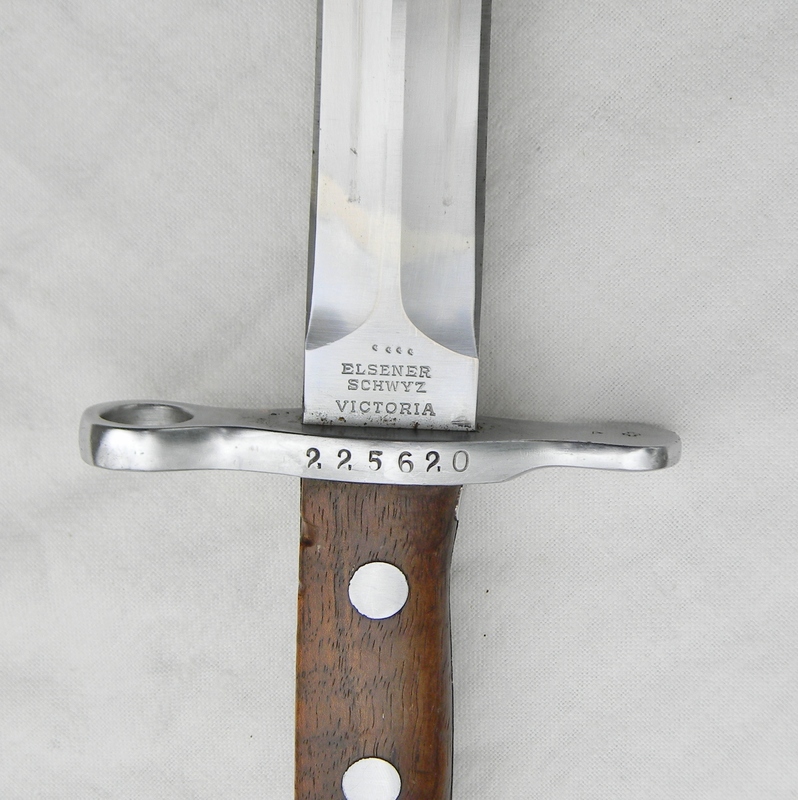 Ricasso is stamped Elsener Schwyz Vitoria on one side; the guard is stamped with a small “Swiss cross” ordinance mark on the top field. Original wood grips are nice and tight; the pommel is excellent with no dings or contact marks. 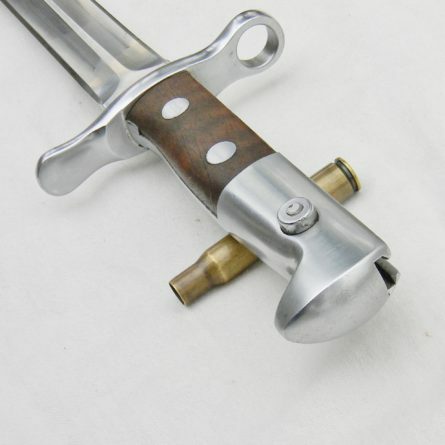 Bayonet’s release mechanism is tight and 100% functional; muzzle ring is excellent with no nicks. 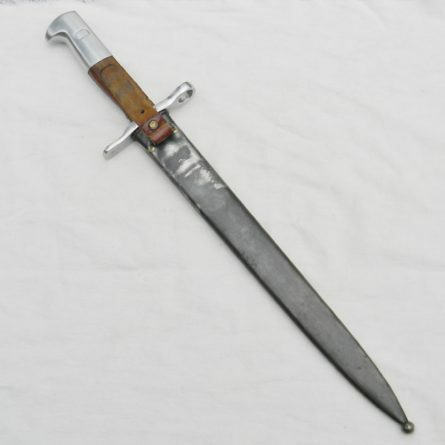 Original metal scabbard is in excellent shape, considering the age. 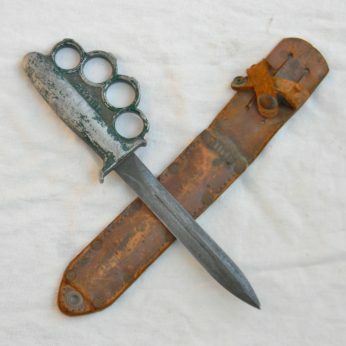 Original leather strap is present; there is no frog. 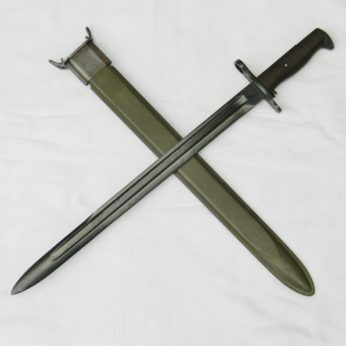 This Swiss Elsener Schwyz Vitoria M1918 bayonet is the correct type for K-31 rifles, but it will fit Swiss Rubin-Schmidt rifles as well. 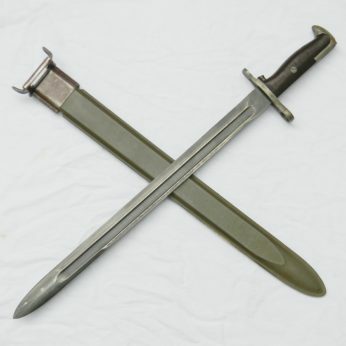 Overall, this Swiss Elsener Schwyz Vitoria M1918 bayonet and its original scabbard are in excellent condition. 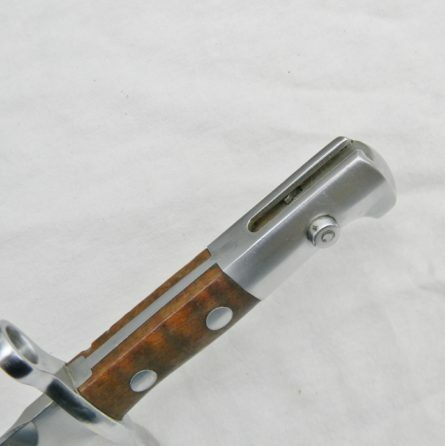 Don’t miss your chance to add it to your collection! 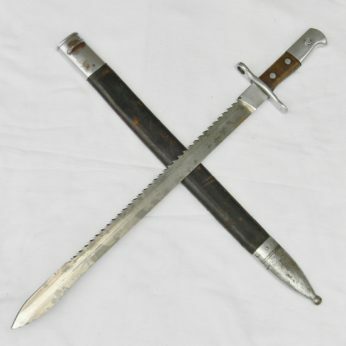 ThisSwiss Elsener Schwyz Vitoria M1918 bayonet and metal scabbard have not been cleaned or tampered with in any way, 100% original condition; these are the actual photos. 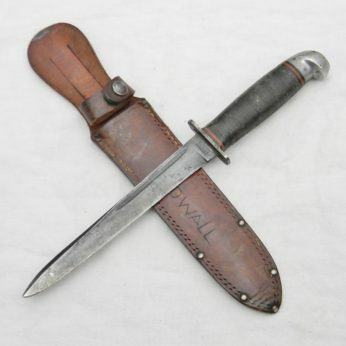 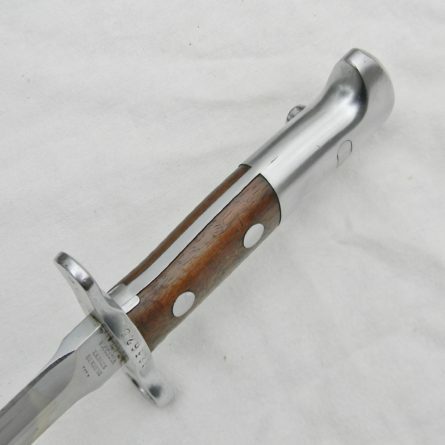 We have several scarce WW1 and WW2 bayonets, fighting knives, daggers and trench knives available for sale – please take a look in our Militaria section. We accept all major credit cards and payments via PayPal as forms of payment. 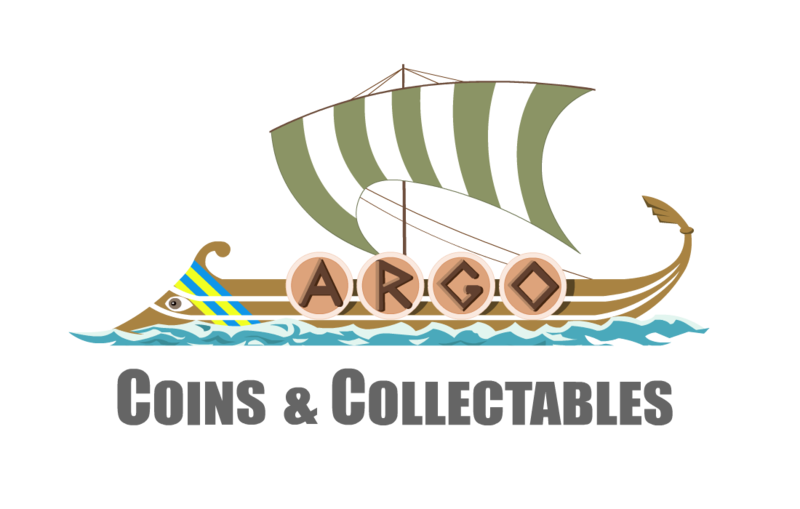 Old-fashioned checks and money orders will work as well; please take a look at the Payments section within our Terms and Conditions for additional details. International shipping for this item will be $44 to most countries.